The Mentalist left its fans at the end of season 4 with Patrick Jane disheartened at being the closest yet at discovering the identity of Red John, the man that murdered his wife and child. With Red John’s accomplice Lorelei in custody, it seemed that it was only a matter of time before Jane would get what he wants. The show has had the Red John storyline angle from the start and it’s made a fantastic arc for the series, played out fantastically by the enigmatic and gorgeous Simon Baker who plays Jane. Season 5 was a really strong season as well; the Red John storyline developed in leaps and bounds, and the show also incorporated other smaller storyline arcs and standalone episode making it a really strong season. The show suffered a small bump along the way as it emerged that Amanda Righetti (Grace Van Pelt) was pregnant; the first half of the season, Van Pelt was mostly chained to her desk, allowing the actress to remain on the show but to hide her baby bump well, offering helpful information about the week’s case to the team. She was then written out for a few episodes and returned with a more active role in the rest of the season. The show handled it well, and this season also saw the show celebrate its 100th episode. I’ve picked out a few of my favourite episodes from the season. Devil’s Cherry – This was the 2nd episode of the season and proved to be a beautiful episode – after taking some tea that wasn’t very kosher, Jane begins hallucinating about his dead daughter; the young actress playing Jane’s daughter is great and the episode is crushing, especially because you can see how great a father Patrick would have been. Red Sails in the Sunset –We’re back to the Red John storyline, and Jane comes up with an elaborate scheme to get Lorelei out of prison, and whist they are together, the team discover that Lorelei had a sister who died mysteriously and as it turns out, it was Red John that murdered her. She takes off, but not before a parting shot at Patrick, which turns into his big break – “I only wonder why the two of you didn’t become life-long friends the moment you shook hands.” It makes him realise that Red John is closer than he thinks. Days of Wine and Roses – Two aspects to this episode – the case of the week is a murder at a rehab clinic and a theft of a ruby necklace to offer motivation for her murder. The Tommy Volker case that has been building for the past few episodes also escalates in this episode, leading to Lisbon reluctantly asking for Jane’s help. The following episode Little Red Corvette is the conclusion to a great storyline arc. There Will Be Blood – Lorelei re-emerges looking for revenge and answers from the people that killed her sister. Jane continues to let Lorelei go in the hope that once she finds out the truth, she will reveal Red John’s identity. Lisbon gives Jane an ultimatum in the hope of getting him to relent on his mission. In the end Lorelei refuses to give Jane the information, and he is blocked from getting any information. It’s another case of so close, yet so far, but certainly builds up the storyline even more. But at the end of the episode we lose Lorelei as she is found murdered by Red John, a sad loss as she was an enigmatic character, and at the actress was a great addition. Red Velvet Cupcakes – CBI enlist the help of a radio therapist to help solve their latest murder, and once they begin to suspect him of the murders, they send Van Pelt and Rigsby to couple therapy. This episode is the first in an epic trilogy of episodes to end the season and along with a solid storyline, there is also the moment that fans have been waiting 3 years for – Van Pelt and Rigsby getting back together. Red and Itchy – A mystery that began a couple seasons ago that has remained visible through small mentions, fans finally learnt more about the contents of LaRoche’s Tupperware box. It’s a great storyline, and reveals the identity of the mole inside CBI. And the contents of the box are gruesome and hair-raising. Red John’s Rules – In the season finale, Red John resurfaces and puts Jane on edge as someone from his past is murdered. Through the episode he also teases Lisbon (and consequently the audience) with his list of 7 suspects for Red John, which is dramatically revealed at the end of the episode in quite possibly the best 5 minutes of The Mentalist. CBS crime drama The Mentalist first hit our screens in 2008, and I jumped on this TV show the minute I saw the first episode. The first 10 minutes of the pilot alone were witty, intelligent and gold. And with the absolute charismatic, charming and beautiful Simon Baker as the show lead – how can you go wrong? 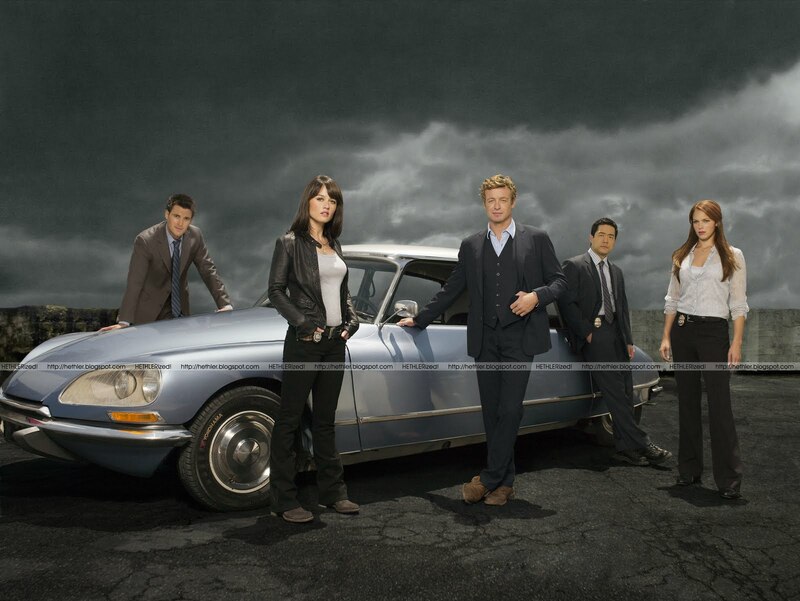 The Mentalist is now in its 5th season, and has reached the 100 episode landmark, and is still fresh and interesting as always. The main cast are talented and each bring their characters to life, and Simon Baker is a fantastic lead – beautiful and charming, his smile lights up the screen (and my heart). This episode is a typical structure for the series, with most episodes revolving around one case per week. What appears to be a kidnapping case of a rich and powerful government associate is soon turned on its head when it is revealed that it is their friends who were house sitting who have in fact been taken. It appears they were the targets all along, and with the kidnapper demanding 4 million dollars, the team must figure out who the kidnappers are before things go awry. It turns out that one half of the couple who were kidnapped is the mastermind behind the crime (I in fact clocked her as an accomplice before it was revealed) and after some terrific acting fake acting (get it?) they bring the pair to justice. We also get a Red John sub-plot in this episode as Jane tries to re-locate a important associate of Red John’s. Over the 5 seasons the Red John plot has moved steadily, with glimpses and clues being left like breadcrumbs. It’ll be interesting to see how long the plot could continue for, and more importantly who Red John will be (it has been hinted in the past by executive producer and creator Bruno Heller that we have in fact met Red John before). I have stuck with this series since it first aired over in the UK, it is a fantastic show and I for one hope it doesn’t end any time soon. Jane: If we catch Red John, he’s not walking anywhere. He’s mine. Lisbon: Don’t talk like that. I can’t let you anywhere near the case if you start talking crazy like that.